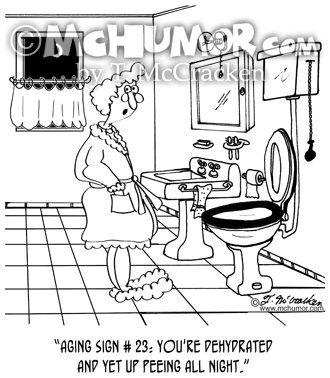 Geriatric Cartoon 8846: Aging Sign # 23: you're dehydrated and yet up peeing all night. 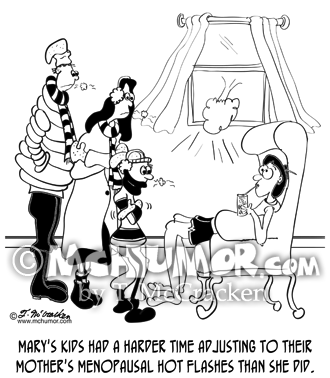 Menopause Cartoon 8762: "Mary's kids had a harder time adjusting to their mother's menopausal hot flashes than she did." A woman having hot flashes sits in shorts in front of an open window while her bundled up kids shiver next to her. 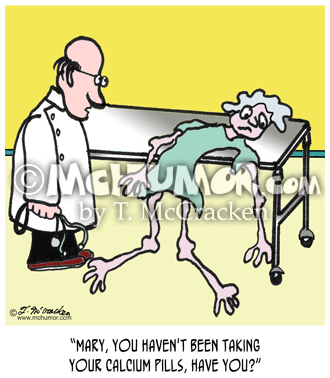 Baseball Cartoon 8195: A baseball player shuffling toward a base with his walker while the baseman tries to catch a ball with one hand and holding his cane in the other. 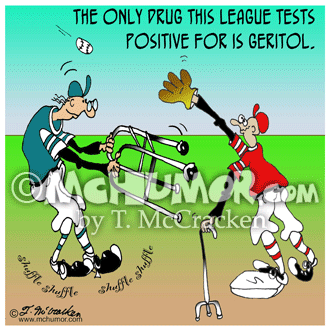 "The only drug this league tests positive for is Geritol." 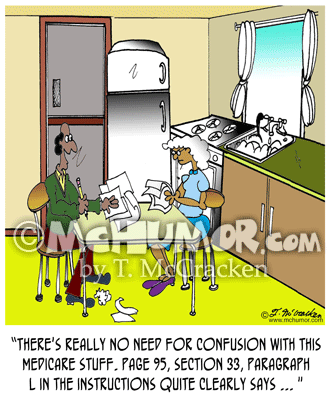 Insurance Cartoon 7690: A man reading pages of instructions saying to a befuddled woman man, "There's really no need for confusion with this Medicare stuff. 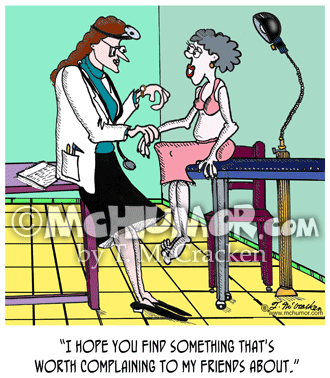 Page 95, section 33, paragraph L in the instructions quite clearly says ... "
Medicine Cartoon 8238: Someone says to a to a doctor, "Gee. 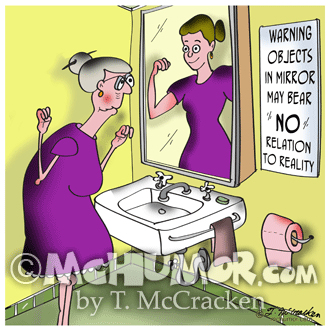 I had hoped to make it to the adult table at Thanksgiving before you recommended I have my first colonoscopy." 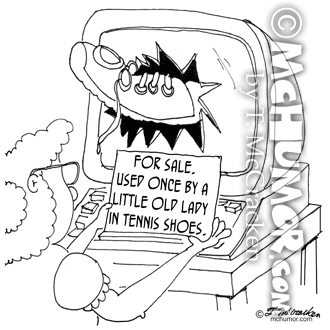 Computer Cartoon 7020: A computer with a sneaker thrown through its monitor has a sign on it that says, "For Sale. Used once by a little old lady in tennis shoes." 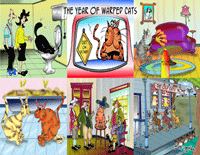 Beauty Cartoon 8857: "Alice's range of expressions after her face lift." 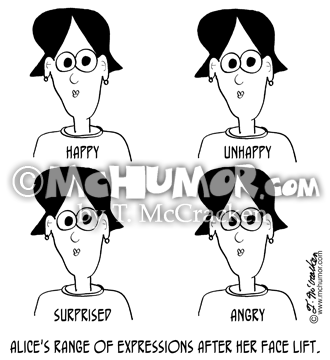 A woman looks identical when she's happy, unhappy, surprised and angry.